Dr. Seuss is a renowned best-selling children’s author of quirky and imaginative stories that encourage reading and learning in young youth. 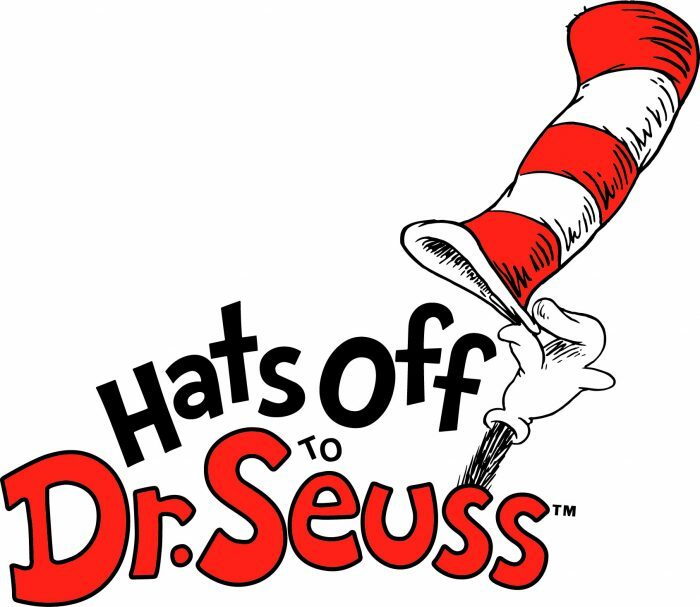 It is safe to assume that everyone alive today has read or heard of at least one Dr. Seuss book, whether it be the top selling Green Eggs and Ham, or the classic The Cat in The Hat, or one of his lesser known collections such as Reading is Fun with Dr. Seuss. When Theodor Seuss Geisel, a.k.a. 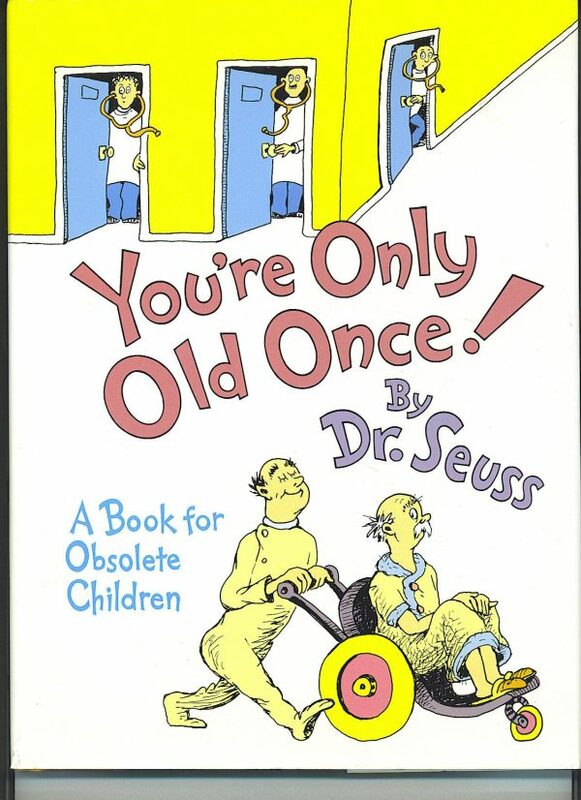 Dr. Seuss, was in his 80’s and suffering from oral cancer, he chose to write a book targeted at adults as a sort of memoir of an elderly man being ushered through a medical complex. This book, You’re Only Old Once, was released in 1986 and contained all of the familiar colors, anapestic tetrameter writing style, pictures and quirkiness we’re all familiar with in his children’s stories, but was targeted at the ageing population. Surprisingly, this was not Dr. Seuss’ first book targeted at adults. In 1939 he had published a book entitled The Seven Lady Godivas. Unfortunately, sales for this book were terrible and Geisel admitted that this was his “biggest failure”. and sniff at good food as it goes past your nose. he’ll find out by Sniff-Scan the foods you like most. won’t be on your diet. During his unfortunate battle with oral cancer, Geisel thought that his writing days were over. It was only when he was invited to accept an honorary degree from Princeton in 1985 that he re-envisioned himself and his enthusiasm for writing returned. While Geisel was going through treatment, he often sat and drew the various machinery and gadgets that were used to treat him, thus, when his enthusiasm towards writing returned, he already had material to begin writing You’re Only Old Once. Early reviews of the story were not fantastic. One reviewer called it “an unexpected lamentation about infirmities”. Despite this, Geisel has initially wrote You’re Only Old Once with a target audience in mind that followed the trajectories of his writings from the beginning. His early works were targeted at baby boomers and by the time this adult book was released, the original Dr. Seuss fans were reaching middle age. You’re Only Old Once quickly became a popular gag gift for people reaching milestone ages. You’re Only Old Once ends on a high note with the protagonist being able to leave the medical facilities and being told that he is “in pretty good shape” given the mediocre shape he’s in. The moral of the story is directed at the elderly, saying that even though, with age, you may feel like a lab rat in a maze of medical testings and a drastically changing lifestyle, you will always pull through it. Unfortunately, in life, the story doesn’t always end on a high note, such as Geisel’s untimely passing in 1991 at the age of 87. Even though he is no longer with us, the imaginative legacy of Dr. Seuss lives on happily and more alive than ever. Were you aware of Dr. Seuss’ adult book?